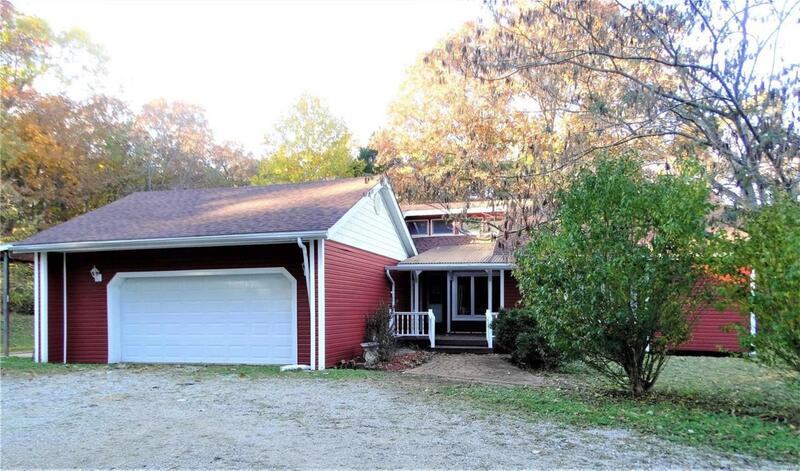 Spacious ranch home sitting on 2 private acres just outside of town. Three bedrooms 2 full baths. Living room features a wood burning fireplace & large windows that look out over the private yard. Off the living room is a beautiful sun porch. You'll love the custom kitchen with lots of cabinets & huge walk in pantry. Master bedroom has full bath & lots of closet space & walks out onto a private deck. Home has lots of updates, new roof, new garage door, new flooring, freshly painted, new furnace and a/c. The walk out lower level is ready to be finished. Rough in bath and fireplace. This home is a must see. This is a Fannie Mae HomePath propertyHomePath is proud to launch our HomePath Ready Buyer program, a comprehensive online homebuyer education course. First Time Homebuyers who complete this education course prior to their initial offer may request up to 3% closing cost assistance toward the purchase of a HomePath property and reimbursement of the HomePath Ready Buyer training cost.